An adventurous lifestyle means to grow through passion, challenge and risk taking. It's about learning to look at the world through curious eyes—to wonder what's on the other side of the mountain—and allowing wanderlust to become your guide. You'll work hard and you'll play hard; the intimacy of your adventurous pursuits will allow you to see, hear, taste, and smell more intensely. 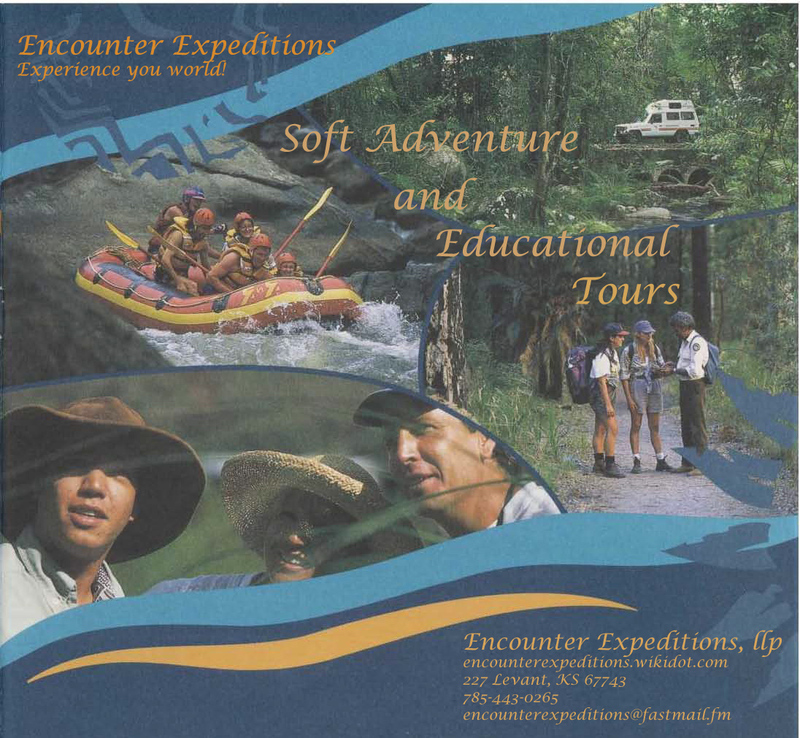 Welcome to our new Wiki site for Encounter Expeditions Travel Study students. It is a work in progress, being a Wiki it always will be and that is what makes it so dynamic for our students. We are building it as time allows and moving bits and pieces of the old static website over. Feel free to browse. Hope you enjoy the new look. We still have much work to do, but it is coming along nicely.